King County is located on the eastern side of Puget Sound. The population is estimated at just under two million people. King is the most populous county in Washington, and the 14th most populous in the United States. Most of the population of Washington State is contained in the Puget Sound Region with the majority centered in King County. The county seat is Seattle, which is the state's largest city. About two-thirds of the county's population lives in the city's suburbs. 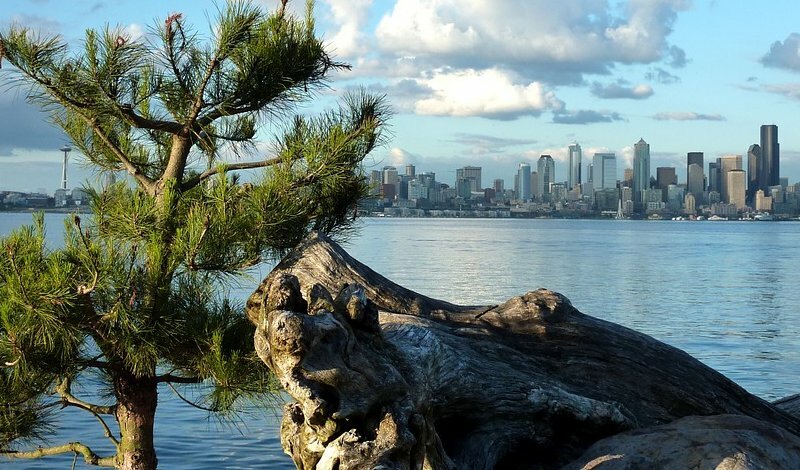 King County ranks among the 100 highest-income counties in the United States. Just east of the city is Lake Washington. Bridges connect traffic from Seattle to the eastside where the large internet companies are located in the Bellevue and Redmond areas. The county was formed out of territory within Thurston County in 1852, by the Oregon Territory legislature. It was originally named after Alabama resident William R. King, Vice President under President Franklin Pierce. King County originally extended to the Olympic Peninsula.